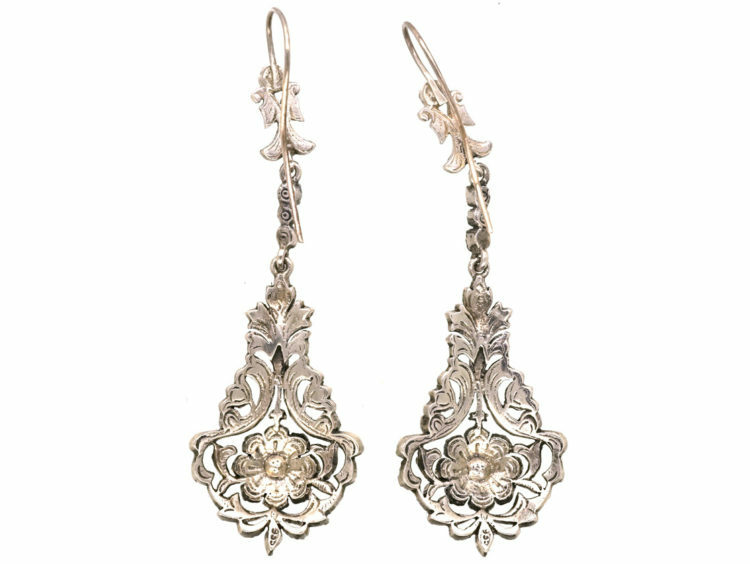 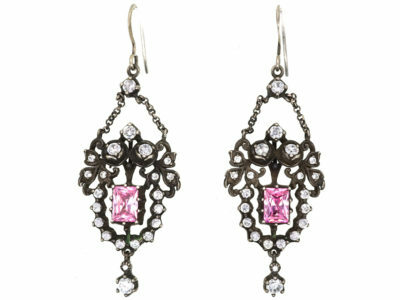 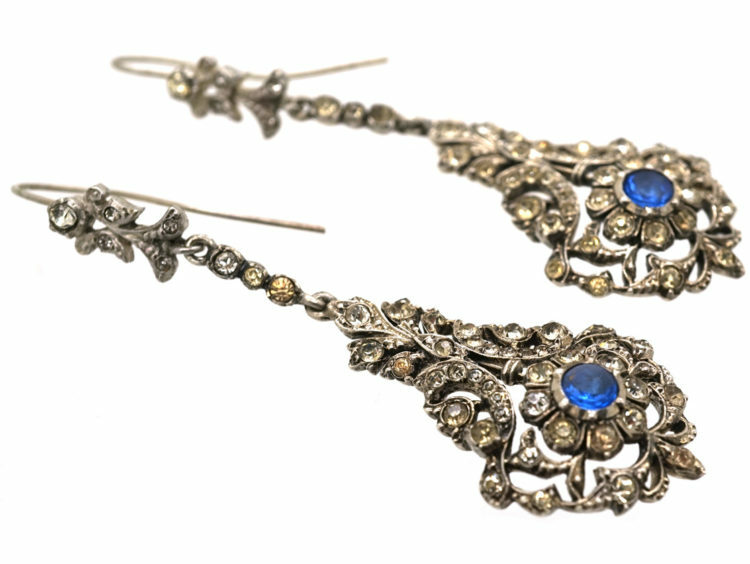 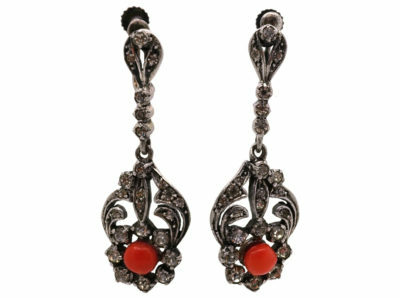 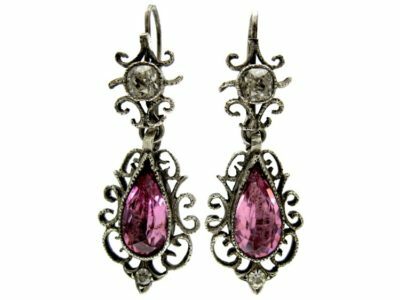 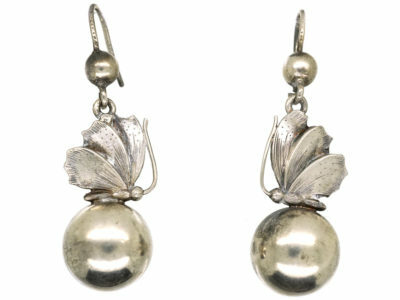 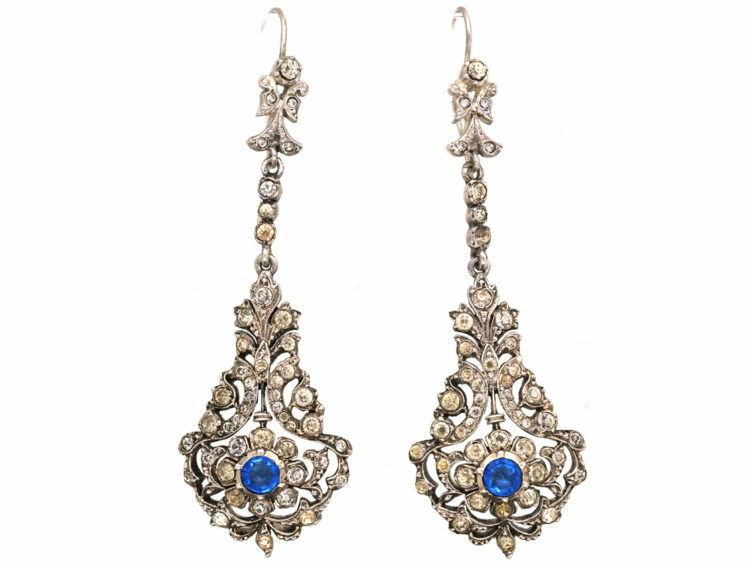 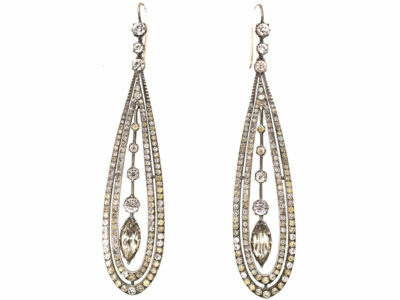 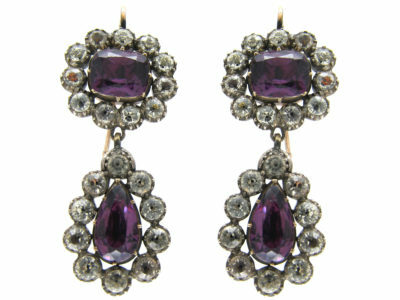 A very decorative pair of silver drop earrings that were made circa 1900-1920. 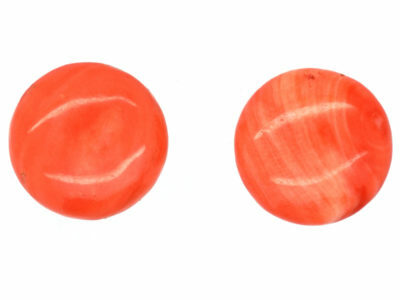 They are well designed with a flower in the centre at the bottom set with blue and white paste. 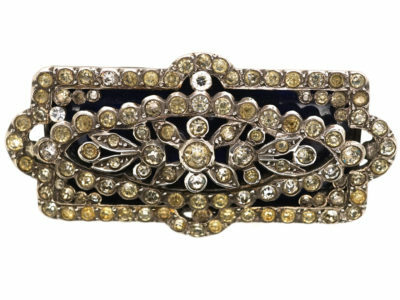 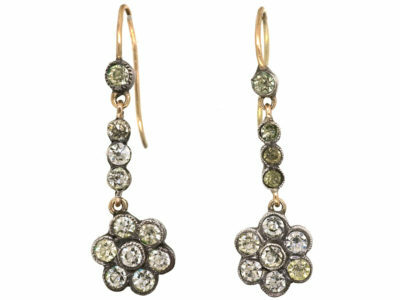 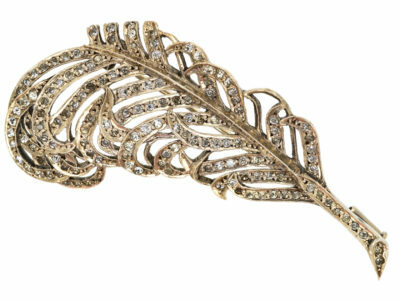 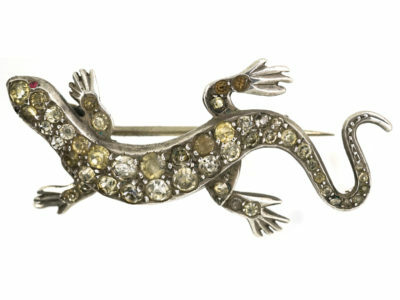 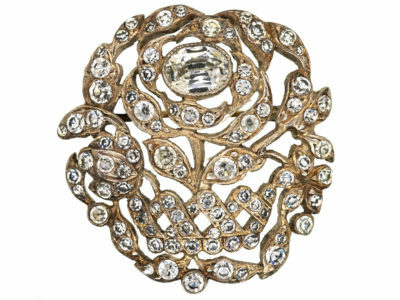 They are very striking when worn and could easily be mistaken for diamonds and sapphires!